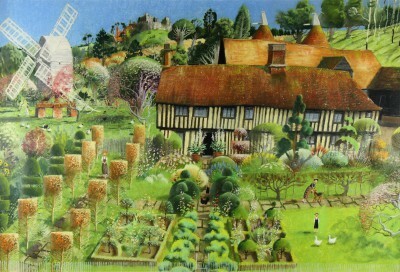 Right now we are waiting for new Richard ADAMS Art to arrive at the gallery. In the meantime, here is a selection of the artist's archived art work which has featured at Red Rag Art Gallery. If you wish to register to receive updates and alerts when new art work from Richard ADAMS arrives select this link. Richard Adams was born in Hampshire in 1960. He was brought up in Wiltshire, and later studied illustration at Leicester Polytechnic. After graduating Richard moved to London and worked as a freelance illustrator for several years on behalf of clients as diverse as the Radio Times, Penguin Books and BP. During the 1980's Richard Adams won many awards for his illustration art work. However he began to find the scope of work constraining, so decided to retire from illustration to begin exhibiting his distinctive art work in the 1990's. Adams now lives in the South East of England. 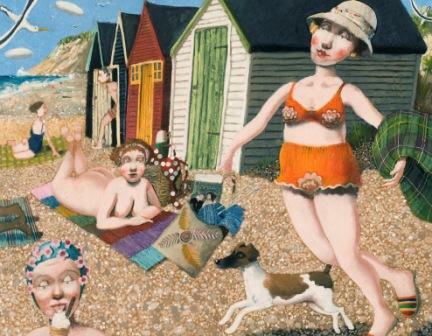 His paintings and prints reflect the varied English landscape and seaside and are often populated by quirky characters and animals. 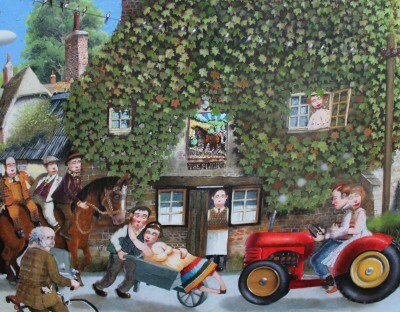 Richard's paintings relate back to bygone times successfully capturing the humorous and absurdness of the everyday with a quintessentially English style. Red Rag Gallery also promotes art prints by Richard Adams. 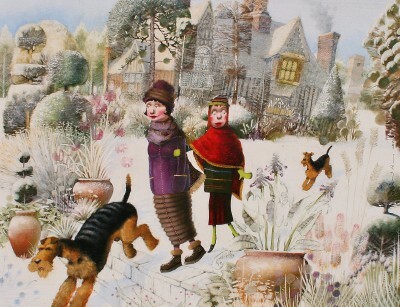 Follow this link to view Limited Edition Prints from British artist Richard Adams. Artist Richard ADAMS is one of a growing number of artists whose modern art works feature at Red Rag Gallery in Bath. Modern art work from Richard ADAMS is regularly exhibited at the Bath art gallery which also offers an extensive choice of modern art, contemporary sculptures and collectible art prints from other present day artists. Should you wish to buy or require further information about modern art from Richard ADAMS please contact/email Red Rag Modern Art Gallery or alternatively contact Red Rag on the number below.